Tickets: $33, $31 seniors, $26 students, available by calling the Civic box office at (509) 325-2507 or TicketsWest outlets, (800) 325-SEAT or www.ticketswest.com. When Spokane Civic Theatre opened “White Christmas” two years ago, executive artistic director Yvonne A.K. Johnson knew it was going to be a hit. She didn’t just hope it was going to be a hit. She absolutely knew it. That’s because by opening night 2010, every seat for every performance was already sold out. Turns out, a stage version of one of Bing Crosby’s most beloved movies, featuring his most beloved song, was not exactly a tough sell in Bing’s hometown. So Civic’s decision to bring back “White Christmas” for this holiday season made perfect box office sense. Yet Civic also wanted to give audiences something a bit different. So Johnson decided to change things up. The 2012 version of “White Christmas” is not a strict revival of the 2010 version. It features a new actor, Michael J. Muzatko, in the Bing Crosby role; a mostly new cast; a new set design; some re-designed costumes; and a new director, Johnson. It will, of course, retain that tuneful Irving Berlin score, which features “Blue Skies” and “Count Your Blessings Instead of Sheep,” as well as the title song. Another thing that won’t change, said Johnson, is the feeling of nostalgic warmth. Civic is using the David Ives-Paul Blake stage adaptation of the famous 1954 movie. It’s the same adaptation that Civic used in 2010 and that hit Broadway in 2008. “It has a lot of heart,” said Johnson. The show’s two big moments – the singing of the famous title song and its second-act reprise – will be handled by Muzatko, who feels a tiny bit of trepidation in tackling one of the best-known songs of all time. But, as a lifelong Spokane resident and singer, he feels he can channel the same feelings that Bing brought to the song. “Bing, in one of his interviews, said that one of his memories was of standing in front of St. Aloysius Church (at Gonzaga University) and watching the snow come down,” said Muzatko, a Gonzaga grad. Muzatko said he has studied many different Bing recordings of the song, but doesn’t plan on copying any of them. 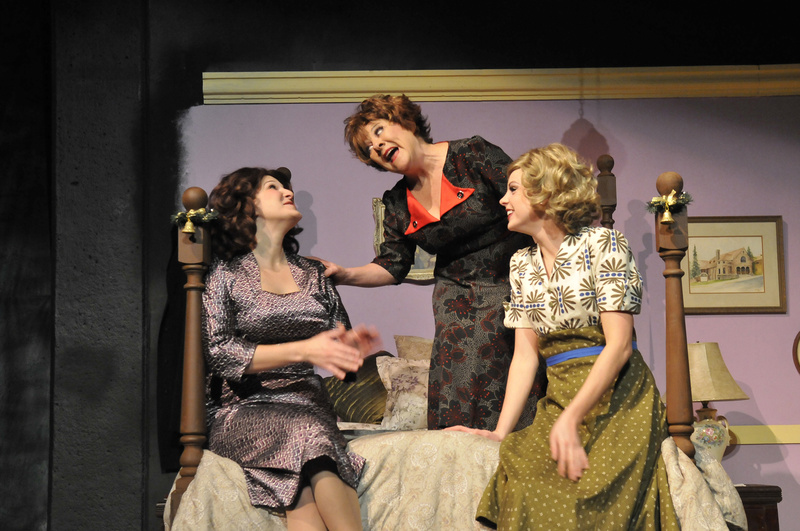 Fans of the 2010 version will be pleased to learn that two roles will be reprised from that production: Andrea Dawson as Betty Haynes (the Rosemary Clooney film role) and Kathie Doyle-Lipe as the comic relief, Martha Watson. Wes Deitrick plays the key role of Gen. Waverly and Mark Pleasant plays the Danny Kaye role, Phil Davis. Muzatko is especially pleased to be collaborating with Pleasant.